Ben Mohamed scored a precious brace for Olympiakos in Belgrade to lead the Reds to a 3-1 win over Partizan for the third qualifying round of the Champions League on Tuesday, while AEK lost 2-0 at home to a superior CSKA Moscow. The results render next week’s return games largely academical. Ben scored his first for Olympiakos just five minutes after kick-off following a great one-two with Marko Marin. Partizan equalized four minutes later as Leandre Tawamba’s shot was parried by Olympiakos keeper Stefanos Kapino, but the ball went in off Tawamba’s body. Ben restored Olympiakos’s lead 10 minutes after the interval with a spectacular solo effort that ended in a curving left-footed effort from outside the area for 2-1. 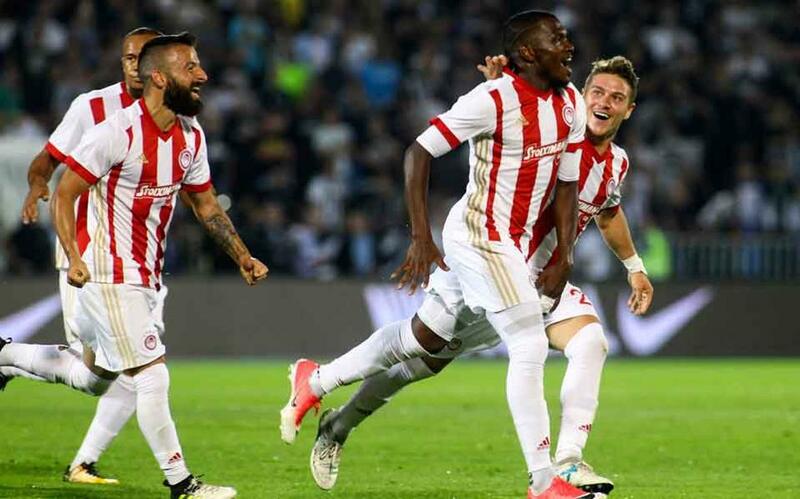 Then a great through-ball from the left by Diogo Figueiras in injury time found Emmanuel Emenike with only the goalkeeper to beat, and he sealed victory for the Greeks. Partizan was far from hospitable for Olympiakos, with bangers and objects hurled against the Olympiakos players, and Greek swearing chants directed at the Reds as Partizan fans made the most of their twinning with PAOK supporters, and the two sets of players had a tussle at half-time on the way to the locker rooms. AEK wished to combine the news of obtaining the construction permit to build a new soccer ground at Nea Filadelfia – the long-anticipated “Aghia Sofia” stadium – with a good result against CSKA, but this appeared impossible on the night. Playing in front of some 35,000 AEK fans, and 200 visiting supporters, AEK had a decent start to the game putting some pressure on the Russians, but as the time went on CSKA dominated game. After hitting the cross bar on the 28th it opened the score on the last minute of the first half as Alan Djagoev headed the ball home from a corner kick from the right. The goal damaged the self-confidence of AEK and CSKA added the second goal 11 minutes into the second half. It was another corner kick which was this time turned in by Pontus Wernbloom, practically taking the two-leg tie beyond AEK.